Each summer, for the month of July, I step out of my bookseller’s specs and into my dancing shoes. For the past five years, I have been involved in a musical theatre camp run by Lock and Keynote Productions. You can check out our website here. We arrived in Sudbury, our first stop, on the 4th, and have been here ever since, singing, dancing, and acting out hearts out- basically, every day is like a G-rated episode of Glee, complete with Journey singalongs. 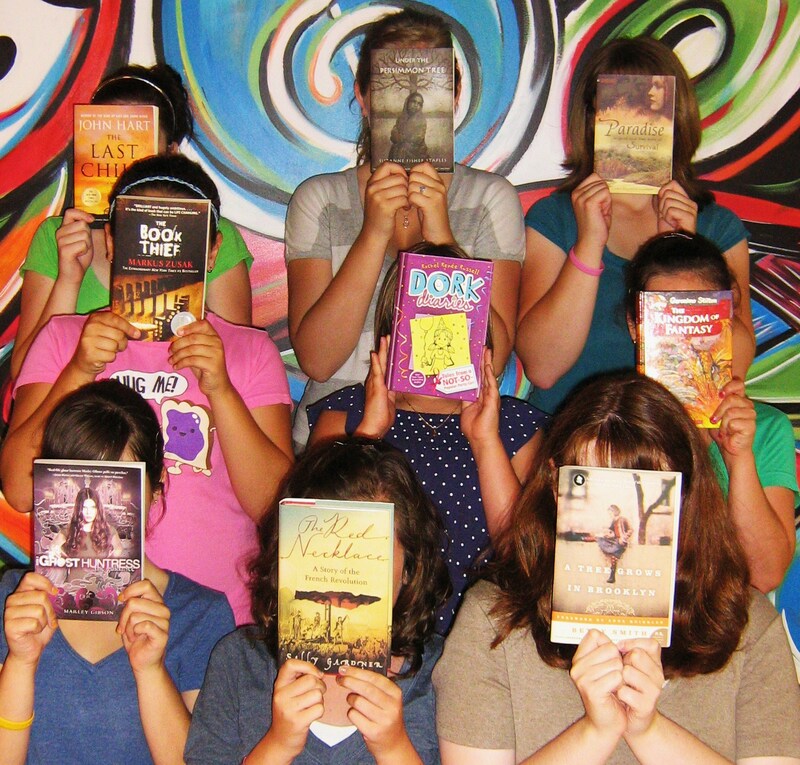 Always the nosy bookworm, I asked our campers to bring in the books they are currently reading, or a book they absolutely loved, and the result was this photo. Such great books! Such great diversity! There are some classics in there, as well as popular new favourites. It’s things like that this that make my bookish heart sing. For those of you in the Sudbury area, come see the show this Friday, July 16th at 8pm at Thorneloe Theatre; you won’t be disappointed. For the rest of you who also harbour a deep love of both musicals and all things book-related, check out this video of guerilla musical theatre at its best.